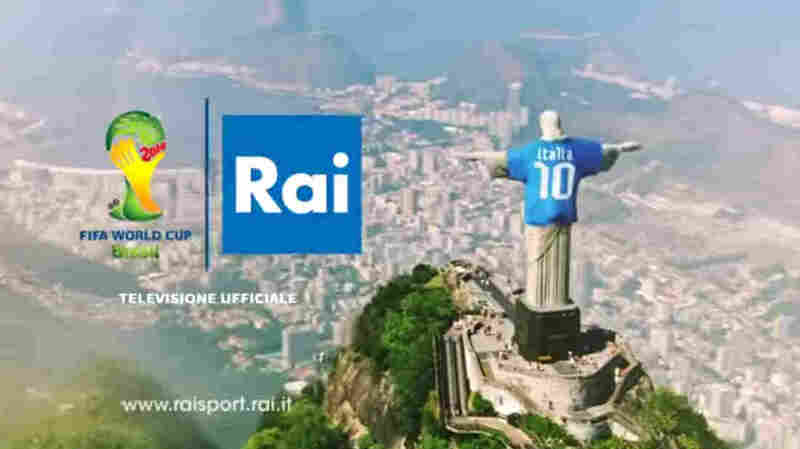 Brazil Furious Over Ad Showing Christ The Redeemer In An Italian Jersey : The Two-Way Brazil's Catholic Church has threatened a lawsuit against Italian state broadcaster RAI, which has since withdrawn the ad with the famous statue overlooking Rio de Janeiro dressed in "Azzurri" blue. It's the most iconic image of Brazil: the Christ the Redeemer statue, perched atop Rio de Janiero, looking down with his arms spread wide in love and understanding. Now imagine the towering figure wearing a soccer jersey — and not even Brazil's. Controversy has broken out over an Italian TV advertisement for the World Cup that shows the sculpture draped in the blue jersey of the Azzurri, or Italy's national team, and featuring the slogan "Brazil awaits us." Brazil's Catholic Church, which owns the rights to the image, called its use "disrespectful." It has threatened a lawsuit against Italian state broadcaster RAI, which has since withdrawn the ad. The president of the Vatican's sports organization, Edio Costantini, was quoted by Italian newspaper II Fatto Quotidiano as saying, "We live in a world that has put God on the bench." "The EA [Evangelical Alliance] says this 'virtual disfigurement of Brazil's national symbol' portrays Jesus 'as a drunkard and as a womaniser', and should thus be banned, particularly out of respect to the significant evangelical and Catholic communities who live in the Latin-American nation." World Cup competition starts Thursday.